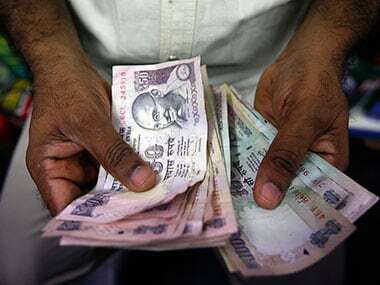 Mumbai: Halting its three-day winning run, the Indian rupee on Friday edged lower by 14 paise to close at 70.14 to the US dollar in line with fall in domestic equities market. The rupee saw a fall on Friday despite a drop in global crude prices and weakness in US dollar against key rival currencies. At the Interbank Foreign Exchange (forex), the domestic currency opened lower at 70.18 a dollar and fell further to touch the day's low of 70.22. It finally settled at 70.14 per dollar, down 14 paise over its previous close. Brent crude futures, the global oil benchmark, fell 1.76 percent to $65.13 per barrel. The dollar index, which gauges the greenback's strength against a basket of six currencies, fell 0.25 percent to 97.42. "The Indian rupee has gained 2 percent over the last one month to trade below 70 per US dollar. The India rupee is the best performing emerging market currency over last one month," Sunil Sharma, Chief Investment Officer, Sanctum Wealth Management, said. Meanwhile, the 30-share BSE Sensex settled 53.99 points, or 0.15 percent, lower at 36,671.43, while the broader NSE Nifty slipped 22.80 points, or 0.21 percent, to 11,035.40. Meanwhile, the Financial Benchmark India Private Ltd (FBIL) set the reference rate for the rupee against the dollar at 70.1010 and against euro at 78.5463. 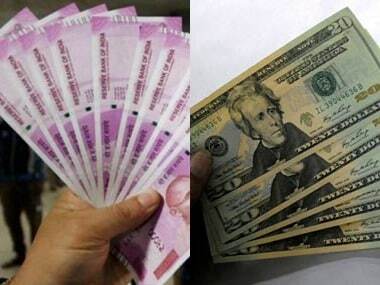 The reference rate for the rupee against the British pound was fixed at 91.7954 and against 100 Japanese yen at 63.13.